Can sport and physical activity (PA) be used to improve the communities we live in? How do community groups manage facilities that provide sport and PA? How can managers ensure the services they deliver meet the needs of their community? What role should community sport schemes play in society? Answer these questions and more in this, the first textbook to focus on the theory and practice of community-level sport management and development. The book is divided into three sections: Part I provides an introduction to developing and managing community sport; Part II outlines the key issues and challenges that face those working in the sector; and Part III examines the leadership and management qualities needed to effectively manage and develop community sport. 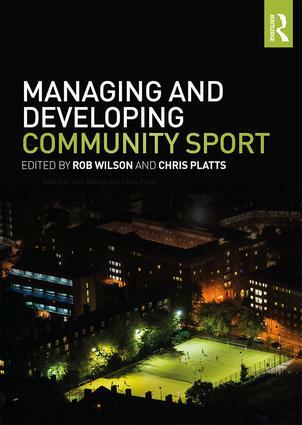 Insightful and user-friendly, Managing and Developing Community Sport is written in an easy to read style and is a vital resource for sport management practitioners or students hoping to work in community-level sport.